You are receiving this email because you opted in from our website, a rally or a convention event. If you wish to no longer receive these emails click here to unsubscribe. Mitt Romney's selection of Paul Ryan as his Vice-Presidential running mate is a great choice. The Ryan Budget, which passed the House of Representatives this past year, demonstrated a commitment to addressing the very real problem of out of control spending with real solutions. Paul Ryan's presence on the ticket reflects a serious intent and places the debate and focus right where it should be, on out of control spending. The turnout at rallies across the country since Saturday morning, reflect the appreciation for this genuine commitment to address our nation's bleeding budget. There is an enthusiasm that can be built upon to help assure the necessary turnout effort for victory, but we should take nothing for granted. We all need to get involved with our coordinated local campaign efforts. Hopefully, this effort is a labor of love for you. Not for our country alone, but for all that makes it great, its people, and especially for those closest and dearest to you. Each generation must be vigilant to assure the preservation of our precious liberty. It's our turn to step up now. This past week was full and productively busy, traveling from Richmond to Fairfax with the Concerned Women of America’s "She Votes" bus tour. My team also met with old and new friends, speaking and laboring from Chesterfield to Lynchburg, Virginia Beach, Suffolk, Appomattox, Galax, Roanoke - back to Lynchburg – and home to Chesterfield. We had an enormous turnout of volunteers at the Lynchburg Victory Center, well surpassing the Victory Center’s call goal - as we have at each of the call centers, so far. My thanks to all those who made that night a success and continue to labor daily in support of the 2012 conservative ticket. 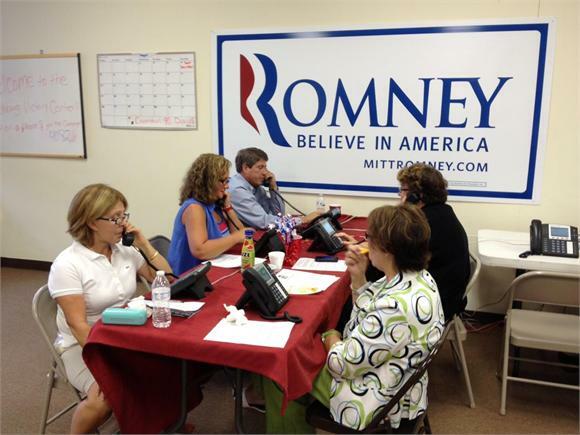 This evening we are making calls from the Norfolk Victory Center Office. This is my second visit to the Norfolk office, and I look forward to working with the great volunteers of Hampton Roads once again. We must seek and support leadership that is willing to advance bold and very real solutions to our very real challenges. Mitt Romney and Paul Ryan are displaying just such leadership, and they are counting on our support. Thank you for laboring with us in this important effort. PS - We need your help. If you would like to volunteer for any of the campaigns this November, please contact us at senatorstevemartin@gmail.com. If you would like to help cover the costs of our campaign efforts, you can donate here. It is important we keep our focus on victory in November. Our incumbent Republican congressmen need more help in the House of Representatives. Please help these candidates in conjunction with the Romney and Allen campaigns. This week we are spotlighting challenger candidates, Dean Longo in the 3rd, Patrick Murray in the 8th, and Chris Perkins in the 11th. If you would like to volunteer on these campaigns, send us an email at senatorstevemartin@gmail.com and we will make sure you are plugged in. You're receiving this because you have opted to receive emails from Friends of Steve Martin. If you no longer wish to receive emails please click "unsubscribe" below.